It’s safer. Dim lighting may not allow employees to safely operate within the warehouse, leading to more injuries, accidents, and damaged merchandise. It saves you money. The right lighting can save you money on your electrical bill, as much as 50%, by using less electricity than other systems. It increases productivity. Items need to move quickly through your warehouse to maximize profits. Good lighting has been shown to make workers more productive and boost employee morale. Wright Electrical Company in Gilroy has worked with numerous local Gilroy warehouses on their lighting needs. We know the importance of bringing smart lighting design to your warehouse, and our team is experienced in implementing lighting plans to give you the best possible finished results. We can start by installing a system that’s right for your space. Whether you’ve been there for years or this is a new installation job, our electricians can handle the job and complete it with excellence. We can also maintain your electrical systems whether we’ve installed them ourselves or they’ve been in place in your warehouse for years. Our maintenance services include changing bulbs, updating ballasts when needed, doing yearly inspections on your system, and much more. Our maintenance services can help head off problems with your electrical system before they start, saving you money on huge repair jobs in the future. If something does go wrong with your electrical system, our team can fix it, too. We have the parts and the experience needed to make sure your electrical system is up and running again flawlessly in no time. When it comes time to upgrade your system, we’ll be there as well, with the latest and greatest electrical systems that are perfect for your warehouse setting. You’ll love working with our team because we understand the importance of your time and your money, and we’ll do what we can to help save you more of both. 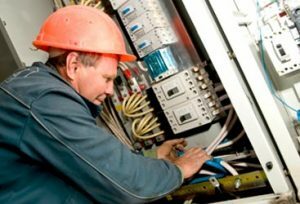 Our electricians in Gilroy work unobtrusively on your electrical system, staying out of the way of your employees as much as possible so business can carry on. We also focus on fixing things right the first time so you don’t have to worry about our electricians visiting your site any more than is absolutely necessary. We work with your budget, too, helping you find solutions that are effective without draining your electrical budget. Our goal is to establish a relationship with our warehouse customers that has them coming back to Wright Electrical Company time and again because they know that we do great work at a great price. Let us show you what we can do for you by getting in contact with our team today. You can call us at 888-681-2609 or contacting us through the form on our website. We’ll get back with you right away to arrange your free consultation. Learn more about what our electrician in Gilroy can do for you and your warehouse space and why many warehouses in the area have made us their go-to electrical experts!